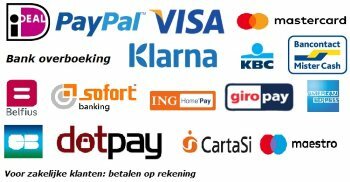 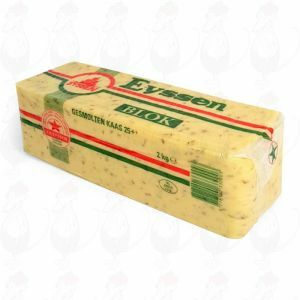 Another Dutch classical recipe. 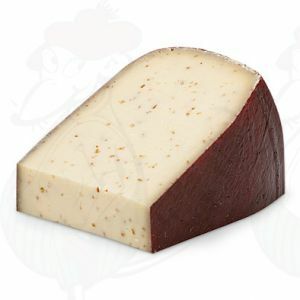 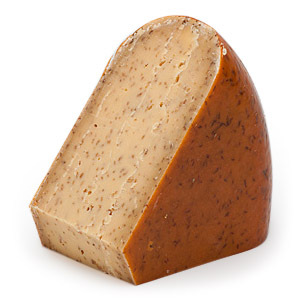 Delicious cumin spiced Gouda cheese. Cheese of the very highest quality. 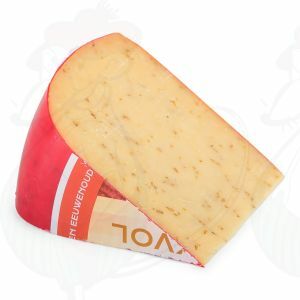 Low on salt, so now even more healthy for you than usual Gouda cheese. 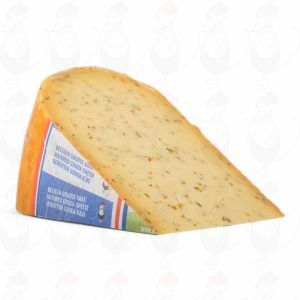 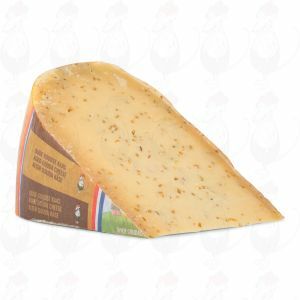 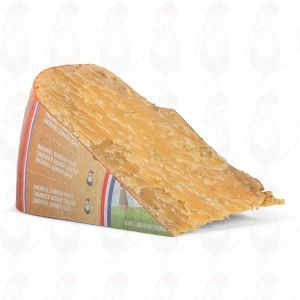 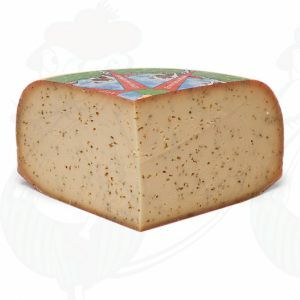 We have several different kinds of cumin Gouda cheese on offer: semi-matured, matured, old and very old cumin Gouda cheese. 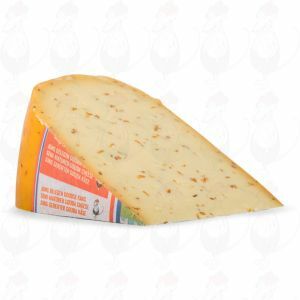 We also have low fat cumin cheese in stock. The generously added cumin gives our cheeses just that extra bit of flavour that will make your mouth water.